In the event of a landing outside the primary landing area, Mercury astronauts carried a variety of survival equipment aboard their spacecraft. These included food, water, knives, rope, matches, medical supplies, a radio transceiver, a compass, a rescue beacon, a radar reflector, a life vest, and a life raft similar to this one. 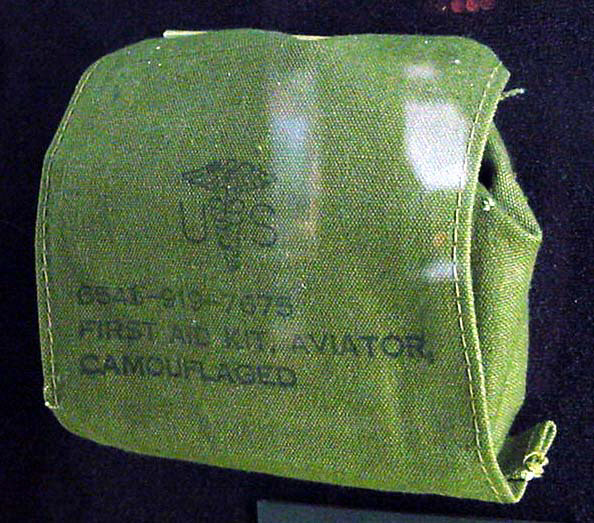 This emergency food pouch was part of the survival kit in Freedom 7, the first Mercury mission, in which Alan Shepard became the first American in space. The food has been discarded. NASA transferred Freedom 7 to the Smithsonian in 1962. This object was found inside the spacecraft in 1977.